Bail bonds can be a risky business. Before bailing someone out of jail, bail agents in Maryland require collateral to ensure they will get paid if the defendant does not show up at required court hearings and becomes a fugitive. In Maryland, a bail bondsman has the authority to detain a defendant who has not appeared in court when required to do so. The bail bond agent can then produce the defendant in court. When a defendant fails to appear in court as required, the court will issue a warrant for his or her arrest. The court will also issue a notice of forfeiture of the bail bonds. The court clerk is required to promptly inform the bail bonding company and the state’s attorney of this turn of events. Under Maryland law, the bonding company is required to forfeit the amount of the bail bond 90 days after the notice of forfeiture is issued. However, if the bail agent produces the defendant before this deadline, the forfeiture order is stricken. The bail agent also has the option of requesting a deadline extension, which would bring the total period of time to 180 days. To avoid forfeiture, the bail bondsman has the legal authority to track down the defendant and to detain him or her. Although a bail bondsman is not an officer of the law, he or she is legally allowed to pursue the defendant into any building, including private property, in order to arrest him or her. If the bail agent does indeed successfully retain custody of the defendant, he or she is allowed to detain the defendant for as long as necessary to turn him or her over to the proper authorities. While the bail agent is tracking down the defendant, he or she must have possession of paperwork that identifies his or her authority to engage in these actions. In addition, the bail agent may choose to hire bounty hunters to carry out these tasks. However, bounty hunters are not legally allowed to pursue fugitives into other countries and there are certain restrictions on crossing state lines. Bail bonds are essentially a kind of insurance policy that courts use to ensure that defendant will show up for his next court hearing. When you are released on a bail bond in Maryland , the court will hold the amount of your bond until court proceedings are complete, at which point it is returned, regardless of whether the defendant is found guilty or innocent. 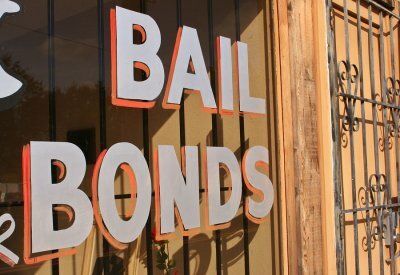 Here is a look at a few of the most common types of bail bonds offered by bail bond companies. Surety bonds are the most common type of bail bond in Baltimore. A defendant will opt for a surety bond when he can’t afford to pay the full amount of his bail. Surety bonds are obtained through a bail bond agent or bail bondsman who works for a licensed bail bonds service. The bail bondsman is insured by an insurance company, and promises to pay the full bail amount if the defendant fails to appear in court. The defendant, a friend, or a family member typically arrange for the surety bond, and may also put up collateral against the bail bond amount. In some cases, a defendant can arrange to use property as a bond in lieu of cash or a bail bond. The court issues a lien against the defendant’s property in the amount of his bail, and if the defendant fails to appear at his next hearing, the court can execute on this lien. 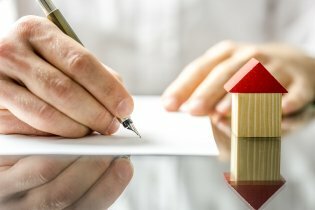 The execution of a property lien is generally carried out through foreclosure proceedings. Once the foreclosure procedure is complete, the court will collect the amount of their lien from the foreclosure profits. 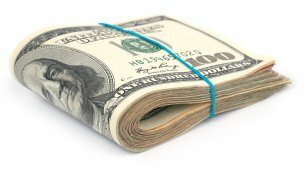 Cash bonds are simply bail payments that are made in cash, or in some cases, by check or credit card payment. This type of bail isn’t used as often, as many defendants are not able to pay their full bail amount in cash. When a defendant pays bail in cash, he does not need to go through a bail bondsman or bail bonds service. If a judge sets bail for a defendant, the defendant can choose to pay bail in cash, via a bail bond obtained from a bail bond agent in Maryland , or via a property bond. If a defendant, his friend, or a family member owns property and wishes to pay bail via a property bond, the court issues a lien against the property in the bail amount. If the defendant fails to appear in court when ordered, the court can execute on their property lien. Unlike with surety bonds, which require a bail bondsman to assume responsibility of the defendant’s bail amount, property bonds can be risky. If a defendant violates the conditions of his bail, or if he fails to appear at a hearing or trial for any reason, the court will revoke bail and execute on their property lien. This means that they will begin foreclosure proceedings on the defendant’s property, or the property of whoever obtained the property bond on the defendant’s behalf. This is particularly risky if the property deed is in more than one person’s name, as that person will also suffer the consequences of the defendant’s actions. If you or a loved one has been arrested, a judge may set a bail amount that must be paid prior to being released from jail. Bail can be paid in cash, or via a property bond or surety bond in Virginia . The defendant, a friend, or a family member can obtain a surety bond from a licensed bail bondsman at a bail bond company. Watch this video for some information on the steps a defendant must take in order to post bail and be released from jail. The video outlines the process, from arrest to release, that a defendant can expect to go through.